In the reception at the Marlow Language Centre, we play Foreign Language news from all around the world. If you are learning Italian for example, will have RAI News 24 playing on the TV while you wait for your lesson. The advantage of news programmes in particular is that the combination of clear visuals, subtitles and straplines will allow you to get a feel for what is being talked about, even if you are not familiar with all the vocabulary. It’s a great way to get in the zone. Similarly, consider watching a foreign language film or TV show. European language movies are readily available, and websites like NHK broadcast Japanese live TV online 24 hours a day. We have a whole host of sources that we can recommend for a variety of languages, so just ask and we can help you out! This is the obvious one. There’s nothing that defines immersion more than actually being surrounded by the native speakers of the language you are studying. It’s the best opportunity to put your skills to the test and will absolutely learn some things in the process. Learning some key phrases before you go, such as introducing yourself, asking for directions, and how to order food and drink are a great way to get the conversation flowing. For more tips on conversing with locals, check out our article. Facebook or Twitter user? A great language immersion tool is to follow or like some foreign language accounts. Be they specific for language-learners, or just your favourite foreign language celebrities, seeing a bit of Spanish or French scattered into your mostly English feed is a great way to learn vocabulary and stay immersed. Feeling brave? For a challenge, consider changing your social media language settings to the language you are learning. Facebook, Instagram and Twitter all have over 100 different language options. A great way to speak to other language learners and develop your own skills is through language exchanges and get-togethers. 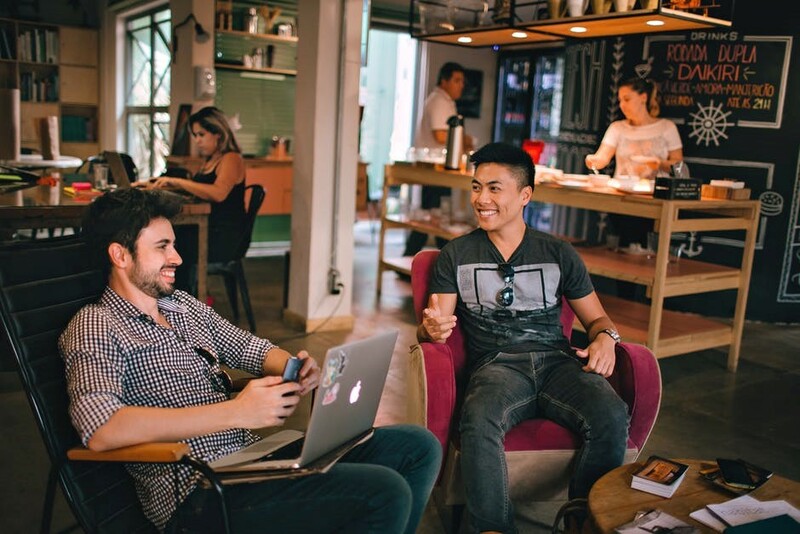 Meeting with other like-minded language learners to have conversations in the language you are studying is a brilliant method of immersion, and is also a fun way to meet new people. We also organise conversation classes here at the Marlow Language Centre, which allow you to do just that, with a teacher on hand to help out with any mistakes and to suggest topics of conversation. Here at the Marlow Language Centre, nearly all of our teachers are native speakers of the language you are studying. Not only that, but if you are after a certain dialect or specific variety of language, such as Latin American Spanish, or Cantonese Chinese, we can help. They will allow you to use your language learning time to converse and learn with someone in context, and truly immerse you in the language and culture of what you are studying.